Press speculation suggests FTSE 100 advertising business WPP (WPP) is lining up several candidates to replace current chief executive Martin Sorrell amid an investigation into his personal conduct. This is something the company would have to confront soon anyway given Sorrell turned 73 earlier this year but, as AJ Bell investment director Russ Mould observes, ‘it is hard to know what the company would look like under different leadership’. Sorrell has been in charge since the business was Wire and Plastic Products – a wire shopping basket maker which he used as an acquisition vehicle to build the world’s leading ad company. He made his first significant move with the $566m hostile takeover of New York based agency J. Walter Thompson just over three decades ago. The succession issue at WPP is one an increasing number of FTSE 100 companies could face. 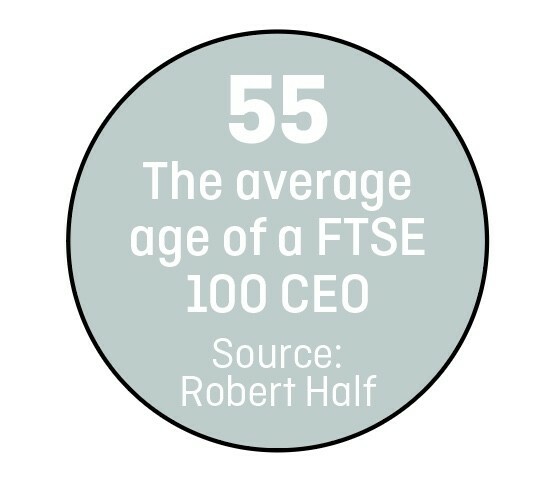 Research from recruiter Robert Half carried out in 2017 showed there were just eight CEOs under 50 among the constituents of the index compared with 33 back in 2010. There can be advantages to having an older CEO – principally that they have experienced more business and stock market cycles and will therefore, in theory at least, be in a position to make better-informed judgements on current economic conditions. The drawback is obviously that they are likely to be closer to the point at which they have to be replaced. This is more of an issue with chief executives, like Sorrell, which have been in situ for an extended period and/or are particularly dominant in the running of a business. There are benefits to having an entrepreneurial leader at the helm but material risks too. Fred Goodwin at Royal Bank of Scotland (RBS) is perhaps the ultimate example of how it can go badly wrong. As revealed in a December 2011 report from the Financial Standards Authority (FSA) (now replaced by the Financial Conduct Authority) Goodwin was shown a draft correspondence the FSA was preparing to send the board in 2005 and he asked the regulator’s staff to water down written concerns about risk management policies. In a clear instance of regulatory failure he got his way and without proper oversight Goodwin went on to pursue the disastrous €71bn acquisition of ABN Amro in 2007. The deal was timed to coincide with the beginning of the credit crunch and the bank remains in state ownership to this day. Legendary investors Peter Lynch and Warren Buffett have both remarked that it is better to invest in a business that’s doing so well an idiot could run it, because sooner or later, one will.